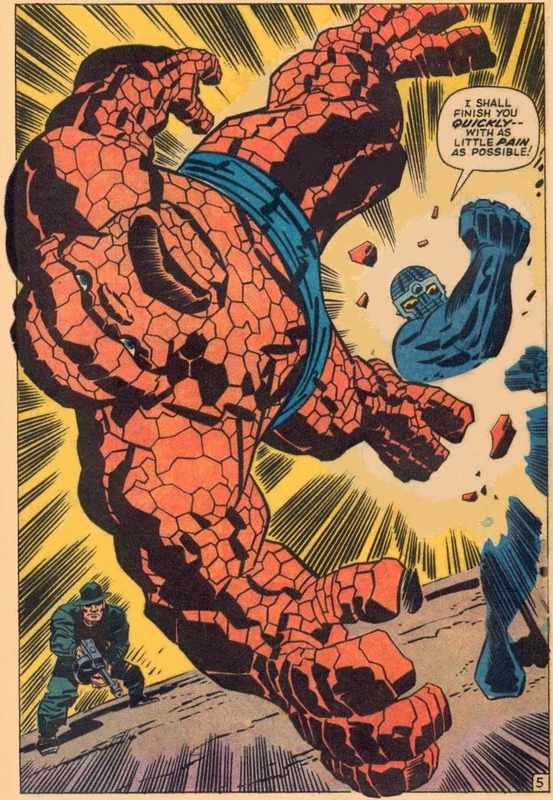 What is better than a multi-part Lee/Kirby FANTASTIC FOUR story based on a Star Trek episode? 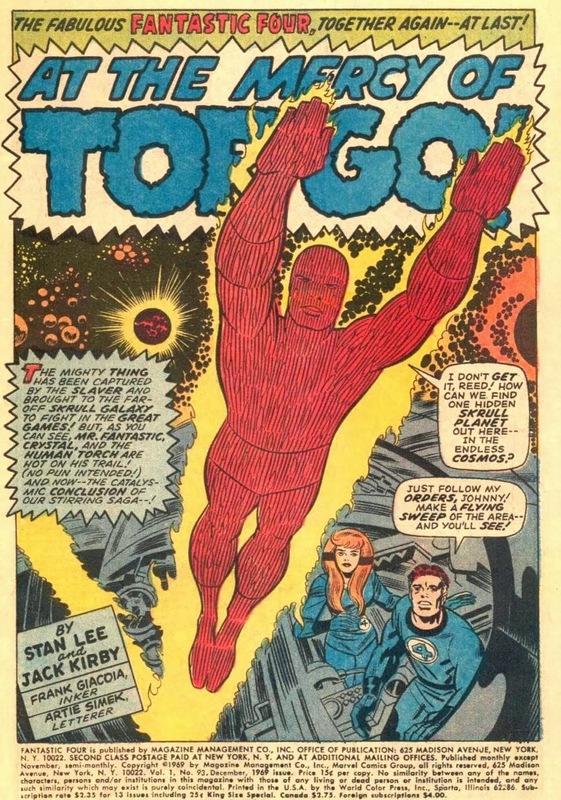 A Lee/Kirby trilogy based on two consecutive STAR TREK episodes “The Gamesters of Triskelion" (January 5, 1968) and “A Piece of the Action” (January 12, 1968). 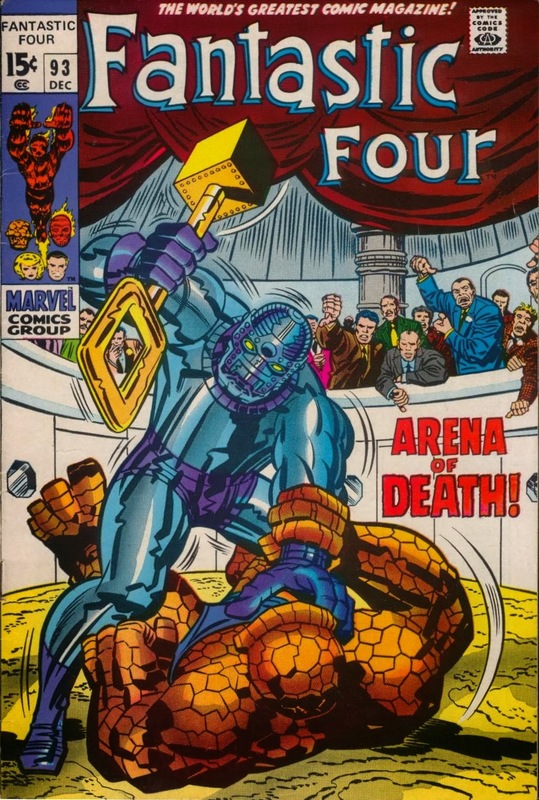 If you want to experience the zeitgeist of the late Sixties I suggest you watch these and then read FANTASTIC FOUR #91-93. In the former Captain Kirk is abducted into slavery and trained to fight as a gladiator for the entertainment of gambling aliens. In the latter Kirk visits a planet with a 1920s gangster culture. To enhance the experience indulge in an authentic snack from that era such as SpaghettiOs and coke in an aluminum can. Did you mean Coke in a *tin* can? By 1963 12 ounce aluminium beverage cans were beginning to be produced in larger quantities and in 1967 that volume swelled considerably when Coca Cola and Pepsi converted to aluminium cans.